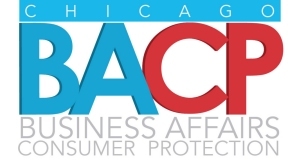 The Department of Business Affairs and Consumer Protection (BACP) is set to offer a new workshop in August for all small business owners and entrepreneurs. The workshop, “How to Promote Your Business” is one of a series hosted throughout the month of August for employers to gain expertise on an array of topics, such as how businesses can expand by reaching a larger audience, protecting their business against risks and navigating a commercial real estate transaction. The workshops will be held at City Hall, Room 805, 121 N. LaSalle St. Chicago, on Wednesdays from 3 to 4:30p.m., and Fridays from 9:30 to 11 a.m. For the first time, the City of Chicago will also offer “How to Promote Your Business: PR 101,” to ensure that business owners and entrepreneurs know how to successfully attract clients and include marketing and publicity into their business plan. To register for a workshop or for more information, call (312) 744-2086 or email BACPoutreach@cityofchicago.org. Learn more about BACP programs and events by visiting www.cityofchicago.org/SBC.